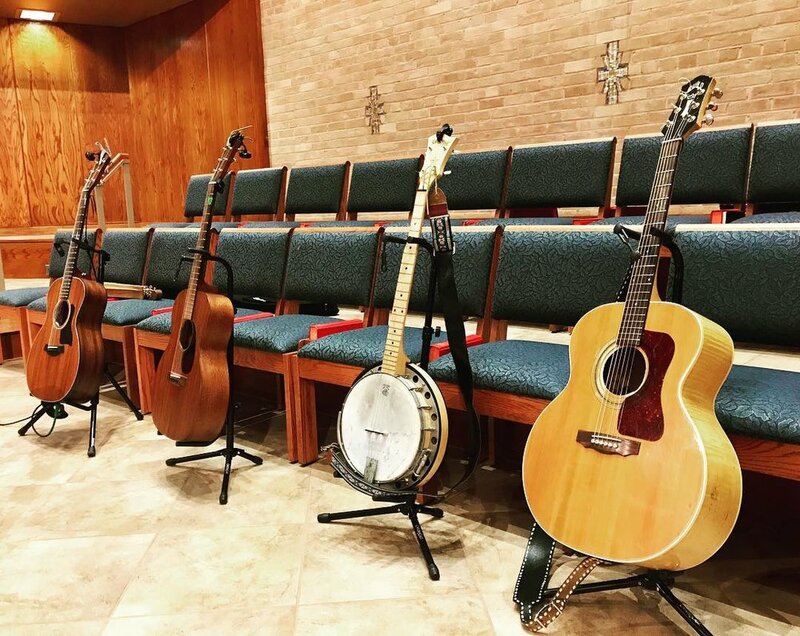 Home to folks who play everything from guitar to viola to banjo, the White Rock Folk Band enjoys jam sessions and corny jokes, and enlivens worship regularly with a wide mix of folk, bluegrass, alternative, and early American music. Officially named One Loud Suitcase, the folk band gets its unusual name from the equally unusual instrument we play, which is a kick drum literally built into a vintage suitcase. Pretty kickin’. Open to youth (6th grade and up) and adults, Chancel Choir is a community of singers of all ages and experiences levels that leads in weekly worship by enlivening congregational song and singing anthems of many styles, from gospel to traditional to modern. Drum circles, reading scripture and leading in worship, and singing in the family choir are just a few of the ways you and your family can be involved in the Music and Arts Ministries at White Rock UMC! Want to bake bread for Communion? Feel called to help people know they’re welcome as they come to worship? We need your gifts in our Communion Ministry and on our Hospitality Team! Have an eye for candles and fabric? Want to help prepare the church for the different seasons throughout the church year? Contact Rebecca to get involved in the Visual Arts Ministry! Each month, White Rock UMC partners with other churches in our area in a traveling Taizé service of singing, scripture, and stillness. For the upcoming schedule of worship experiences, follow Dallas Community Taizé on Facebook, or contact Rebecca.